Office Cleaning - Office Buildings | All Building Cleaning Corp. Office Cleaning - Office Buildings | All Building Cleaning Corp. The convenience All Building Cleaning Corp offers our office building cleaning clients is second to none. We are experts in making sure that your office is constantly putting its best foot forward for your clients and customers. A clean office will also have positive effects on your employees. When an employee is working in an office space that is well kept their attitude improves, and their productivity increases. You’ll also notice that keeping your office a healthy space will keep your employees healthy as well, so they miss less work. All Building Cleaning Corp concentrates on using “Green” cleaning to ensure that as we clean there is no need for disruption of any area of your office due to harsh chemicals. Class A office buildings are often larger, high-quality office space in highly sought after locations. The kinds of businesses we may serve in Class A office buildings are financial institutions, law firms, real estate groups, architectural firms, engineering firms, energy firms, consultants, political organizations, and others. All Building Cleaning Corp has the expert knowledge needed to work in medical offices. We know the cleanliness of the office, the handling of trash, medical devices, and other things that are unique to medical offices, all of their own specifications. As with medical offices, All Building Cleaning Corp has gained the required skills to clean dental offices in a very specific way they need to be cleaned. Dental offices trust us to keep their patients in a clean and healthy environment. Janitorial Cleaning: including emptying trash, dusting, cleaning restrooms, vacuuming, cleaning entryways, stairwells, and other high traffic areas, etc. Commercial Carpet and Floor Cleaning: Using one company that you can use to not only do your normal commercial cleaning but also things like carpet and floor cleaning that is scheduled annually saves you time and money. Commercial Window Cleaning: Our cleaning teams are already doing the office cleaning services, and we can make sure your window cleaning happens when it needs to and in a manner that fits your budget. When you hire All Building Cleaning Corp in Southeast Florida, we’ll be the last commercial cleaning company you’ll need. Our supervisors will come to your building to meet with you, walk your property, go over your office cleaning needs. 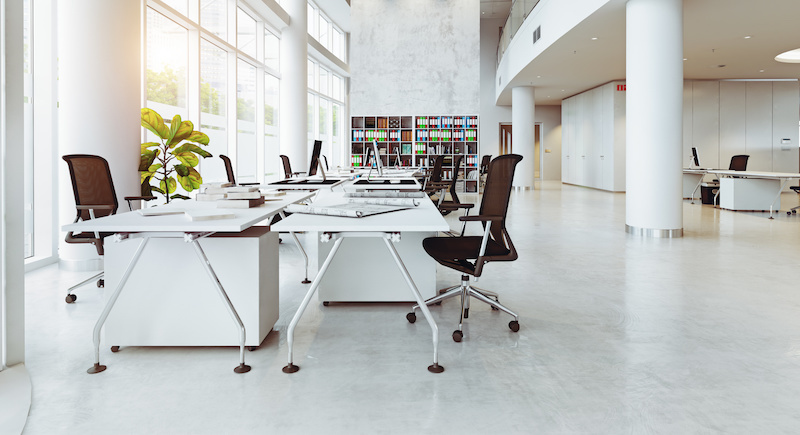 A plan will be set up based on your needs, your budget, and our recommendations for what will keep your office building as clean and healthy as possible. When you outsource your cleaning, you know that you won’t ever miss a cleaning. There is a great deal of expenses when you have in-house commercial office cleaning, but one of them is being stuck when an employee calls in sick. You’ll have to pull someone else to do the cleaning or go without. Our teams will never call in sick. We will never miss a scheduled cleaning for your office building. If you’re ready to hire an all-inclusive office building cleaning service, call our team today. We are ready to meet with you and get your office building looking its very best.